Purpose: To increase "The Itchy & Scratchy Show" ratings. Paradigm: The original dog from Hell--part rapper, part surfer. Attributes: Gets "biz-zay"; a dog with attitude; in-your-face. Downfalls: Too "biz-zay"; too much attitude; too in-your-face; doesn't make much sense. 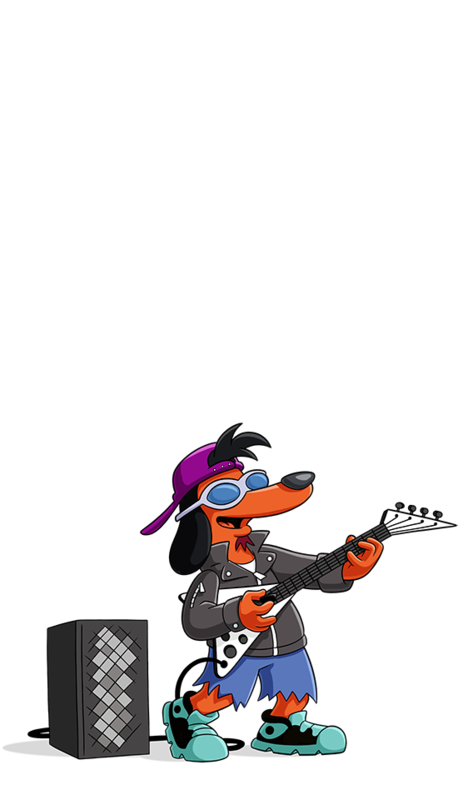 Poochie's end: He dies on the way back to his home planet. Cast in "The Itchy & Scratchy Show"
Homer lists his previous jobs and says this new one is what gives him the best feeling. Hey, hey, wiggedy, wiggedy, Poochie's in the house! Hey kids - always recycle... TO THE EXTREME! Bust it!